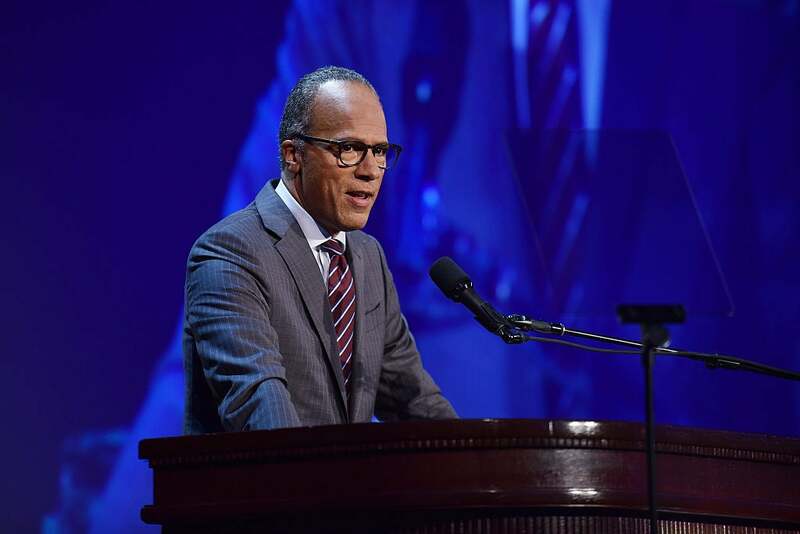 The first round of 2016 general election debates are finally here and NBC journalist Lester Holt is in the driver's seat. Monday night’s 2016 Presidential Debate moderator Lester Holt is no stranger to the political debate stage and many are looking forward to the job he’ll do during tonight’s highly-anticipated match up between Democratic presidential nominee Hillary Clinton and Republican presidential nominee Donald Trump. There’s plenty to know about Holt beyond the fact that he’ll be taking center stage tonight during one of the most-watched debates in political history, so here are a few facts to get you started. 1. He has big shoes to fill, but he’s got an impressive resume. The last African-American journalist to moderate a general election presidential debate was Carol Simpson, who led the 1992 debate between Bill Clinton, George H.W. Bush and Ross Perot. Mention should also be made of journalist Gwen Ifill, who moderated the 2008 vice presidential debate. But Holt will be the first African American to moderate a general election presidential debate in 24 years. Holt has an impressive journalism career that includes 35 years of reporting on some of the most pivotal moments in history, including 9/11 and the 2008 Olympics. 2. He is a married father of two sons. Lester Holt has been married to his wife Carol Hagen for 34 years. They have two sons, Cameron and Stefan. 3. The Clinton campaign has requested that Holt call out Donald Trump when he makes inaccurate statements during tonight’s debate. Holt is a well-respected journalist who is absolutely capable of ensuring that both candidates are taken to task on the validity of their statements during tonight’s debate. Given Trump’s track record thus far, the Clinton campaign made it clear that Holt’s ability to fact-check Trump should be a top priority in his job as moderator. 4. He moderated a Democratic primary debate back in January. Holt joined fellow journalist Andrea Mitchell to host the Democratic presidential candidate debates in January of 2016. Holt received positive reviews from the public and the media for the job he did as moderator. 5. Donald Trump isn’t quite sure what to think of him. Donald Trump said earlier this month that he believes Lester Holt will be a “fair” moderator. Days before, Trump criticized the debate system as “unfair,” after describing Holt as a Democrat. Holt been a registered Republican since 2003. 6. Last week, Holt revealed the topics for tonight’s debate.